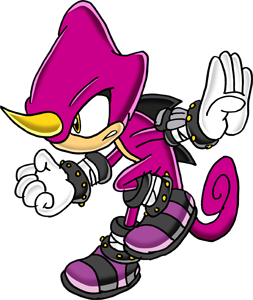 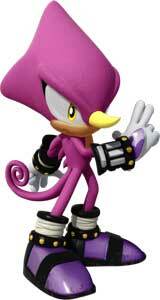 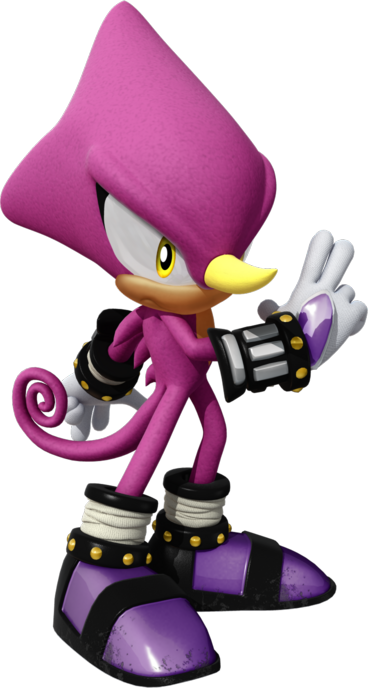 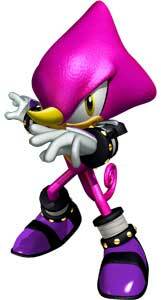 Espio the Chameleon is a minor protagonist and playable character from the Sonic series by Sega. 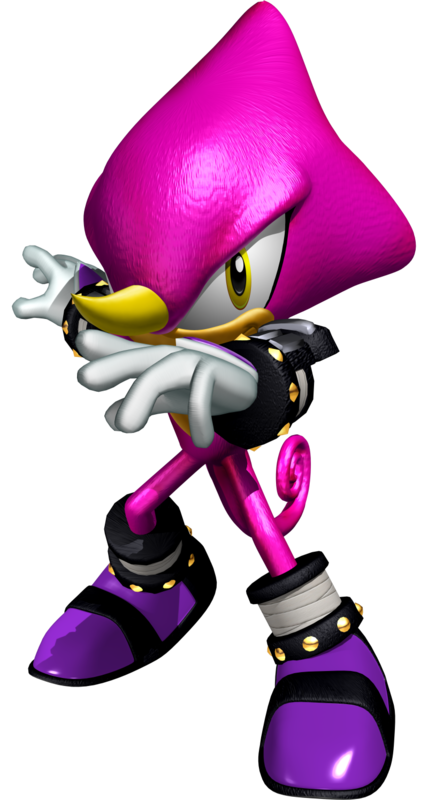 He debuted in Knuckle’s Chaotix (1995) on the Sega Mega Drive 32X. 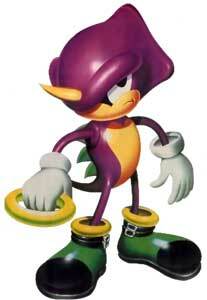 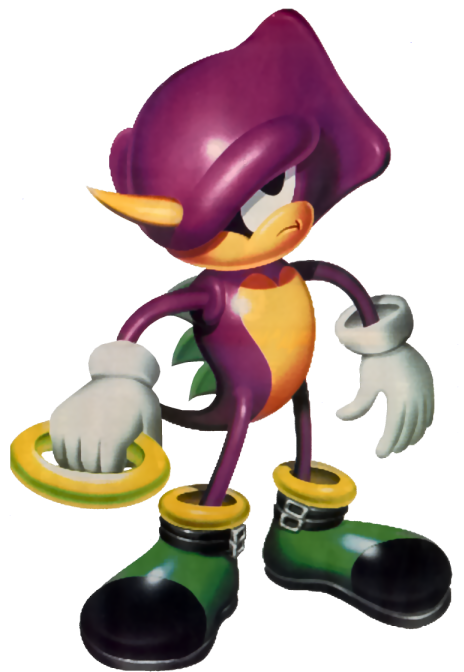 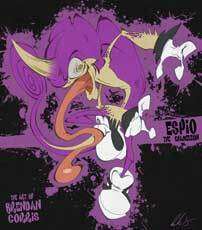 Espio is also one of the playable fighters in Sonic: The Fighters (1996).